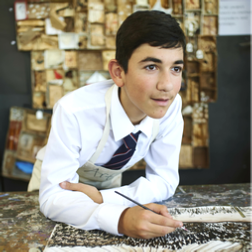 All students in Years 7-9 follow a comprehensive art course, which offers a balanced and developmental curriculum, building upon previous experience, skills and achievements and fulfilling the requirements of the National Curriculum for Art. The course is divided into three areas- skills, concepts, critical and aesthetic understanding and awareness. No area is taught in isolation, and it is recognised that knowledge and understanding in one area may support or be dependent upon knowledge and understanding of the other two. Students should be equipped with the required skills they need to realise, develop their ideas, and achieve work of quality. Students are assessed on their practical skills and knowledge and understanding. Pupils need to understand and learn how to employ the basic elements and concepts of art so that their work has strength and depth. Pupils will develop critical and analytical skills so that they can assess, modify and improve their own work and give constructive advice to others. This will help them produce more developed and able quality work. To help them achieve this understanding and language, pupils will need to be aware of, and appreciate the work of others artists, past and present from their own or different cultures. 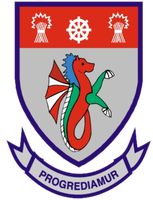 The study and research of the work of others may act as an inspiration to the pupils and enrich them and aid their own work. Through the development of these skills as they employ them into their own work, extending their skills and knowledge and the development of their own work, pupils should learn to appreciate, enjoy and above all value artwork in general.